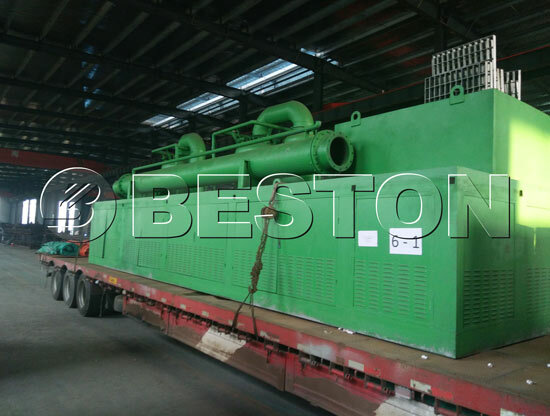 Beston municipal solid waste sorting machine mainly consists of smooth Auto-feeder, big garbage crushing system, garbage bags automatic broken, large pieces of organic matter automatic broken system, comprehensive winnowing machine and other parts. And the municipal solid waste can be separated into the following: Inorganic matter; Sandy soil;organic plant-based;Un-recyclable fuel;Plastic film; ferromagnetic plant-based. 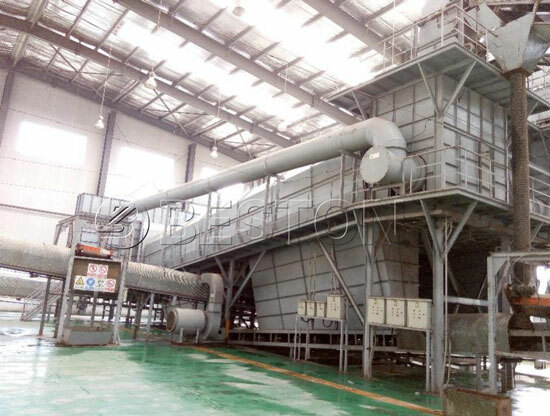 Above, waste sorting rate all can reach more than 85%, plastic film separation rate can reach more than 90% which laid a solid foundation for the next process of “utilization and industrialization” garbage disposal. All big garbage can be fully separated (particle size is larger than 400 mm, separation rate 99%), the sandy waste separation rate is 95% (particle size below 30 mm, aperture can be adjusted according to garbage composition), the separation rate of organic compounds isolated is 25% -30% (below 30mm), and the machine can breaks all packaged bag if volume is larger in the garbage. Specially designed feeder installation angle can realize automatic uniform feeding without any auxiliary measures. The garbage truck can directly discharge to the equipment by the hopper, and than save the running time of grab bucket. The machine collecting the function of bag breaking, crushing etc in one body. Garbage bags can be automatically torn and large pieces of organic matter can be automatically broken. Three-section hammering cutter encounter hard could be bend, and the inorganic broken rate to the lowest. Special anti-wind device keep hammering cutter from winding. 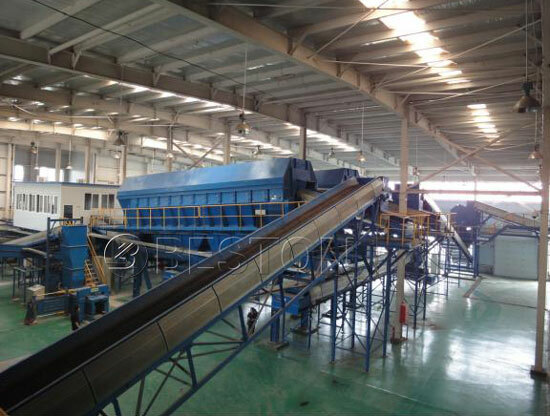 The machine collecting crushing method, proportion method and volume method, cyclone separation, bounce separation, magnetic separation process together in an integrated separation method which solves many existing problems of waste sorting equipment.These problems included drum screen separator aperture pore size cannot be changed, simple classification, low purity of separation, the serious damage of manual sorting to human body health.The machine does not need manual sorting and improves the working environment of workers and realizes the totally enclosed, mechanical work. 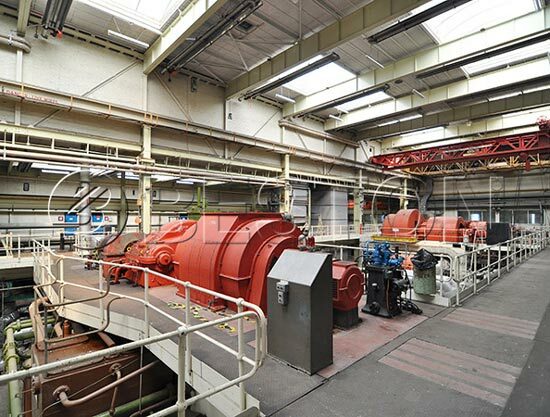 This process system feeding way is by forklift will rubbish into the rubbish bin, by receiving hopper bottom plate conveyor jiang is expected to take away, balanced by ejecting device sending material layer dial evenly after the first belt conveyor, through the manual sorting platform, picked out by artificial to big ones, at the same time through strong magnetic magnetic separation, black metal picked out, again by broken drum screen, classification of garbage into the garbage and < 90 mm and 90 mm or more (plug hole size according to the reality of garbage) on the screen, undersize material as raw materials for the system of fat (or landfill) output. ≥90mm sieve material through the sieve material transport conveyor into other devices (or packed storage). 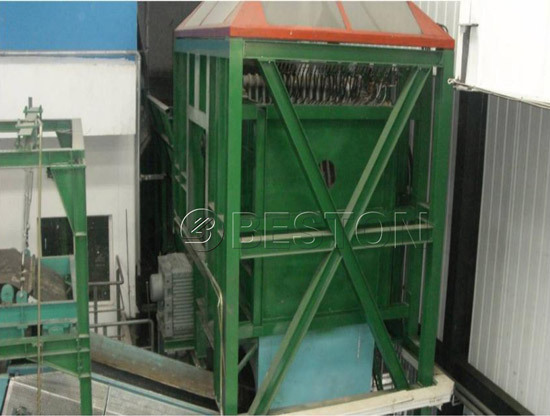 Beston msw sorting plant is designed based on principle of the reducing the volume, turning the waste to treasure. Using a variety of selection machine, we could get organic, plastic, metal, brick, stone, etc. from the garbage with high efficiency. The LPC control system could monitor the whole working process of the line. The sealed deodorizing system as we as the unique aromatic ester spraying deodorant system, could keep the bad smell in the workshop away. We’d like to make some change with the configuration according the garbage component of different locations and countries, to make a safe environment friendly and economic garbage sorting project. 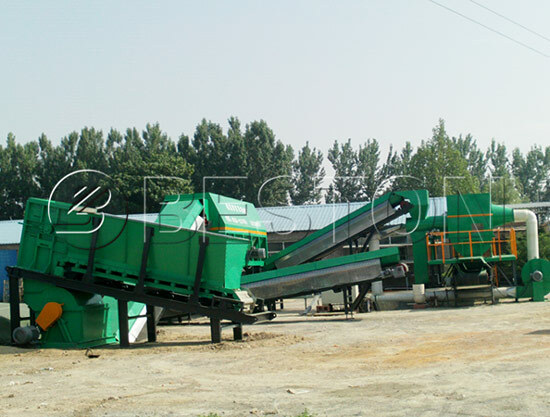 We mainly have four types of waste sorting equipment for sale, they are BFX-100,BFX-200, BFX-300,BFX-400. And their processing capacity ranges from 100 tons to 400 tons. So far, we have established a partnership with Ukrainian customers. 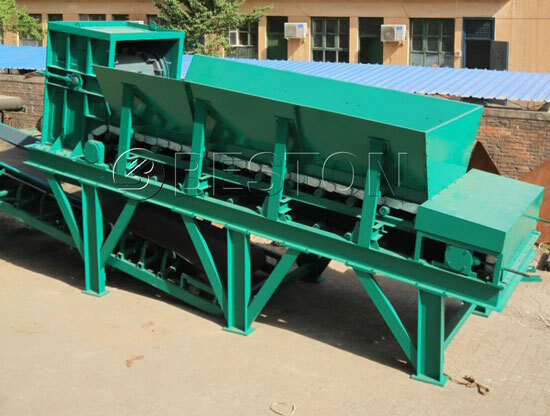 If you are interested in Beston waste sorting system, welcome to visit Beston factory!